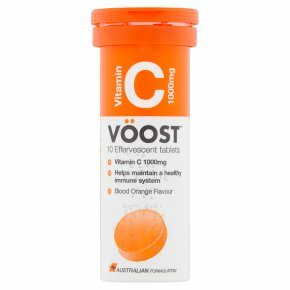 Vitamin C 1000mg. Helps maintain a healthy immune system. Australian formulation. Suitable for vegetarians. How to Use: 1 tablet per day dissolved in 200ml of water. DO NOT USE IF CAP OR SEAL IS BROKEN<br><br>The stated recommended daily dose is not to be exceeded. Food supplements should not be used as a substitute for a varied and balanced diet and a healthy lifestyle.<br>KEEP OUT OF REACH OF CHILDREN<br>Suitable for adults and children over 12 years.